This is a simple three wire cable. Great for jumping from board to board or just about anything else. 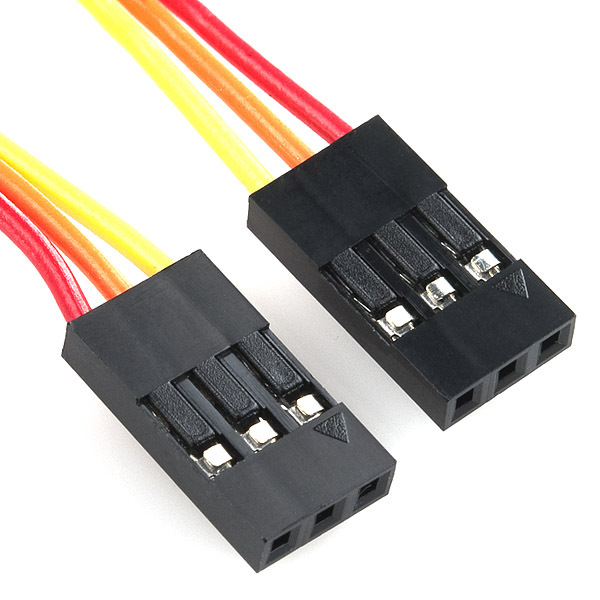 There is a 3-pin JST RE connector on both ends. 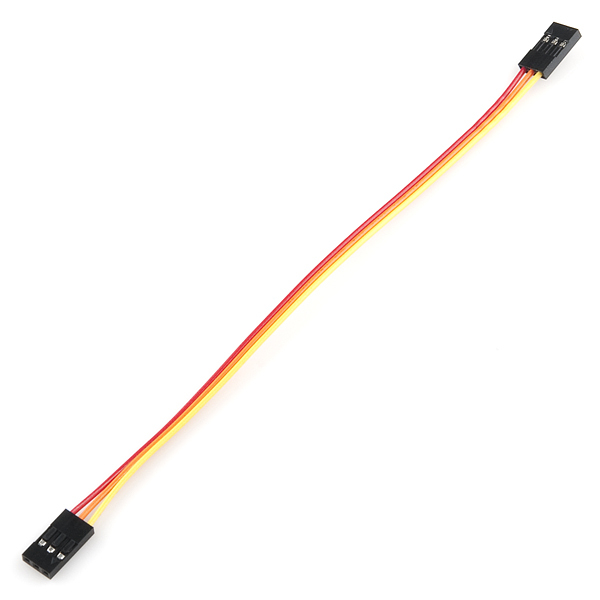 These are simple jumper wires used on standard 0.1" breakaway headers.